Welcome back to Red Pen Tidbits (click for a full table of contents)! How has your practice with coordinating conjunctions gone? I hope it was wonderful! This week, we’re looking into four pairs of commonly confused words. Sometimes it helps to have some way to remember them, so I’ll offer up mnemonic devices when I can! We are talking about homophones (or almost homophones depending on you dialect). 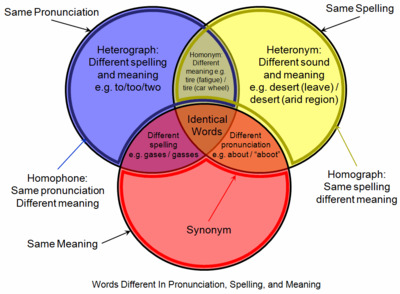 Homophones are words that sound alike, but they are spelled differently and have different meanings. 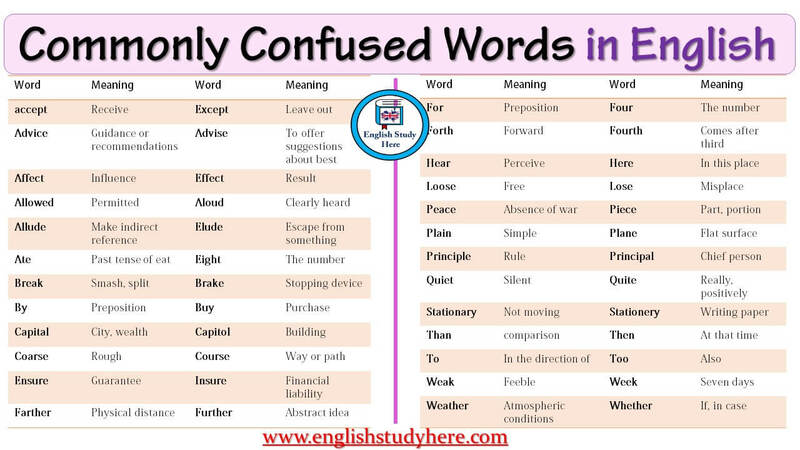 As you can see by the diagram below, there are many different ways to go about commonly confused words. Feel free to branch out from the ones we go over! We could go on and on with homophones, but we’ll keep it simple (this is a tidbit after all). Most of them boil down to one major difference: part of speech. You guessed it! We’re taking this all the way back to nouns, verbs, adjectives, and so on! Let’s take a look at four of the ones I see the most often. 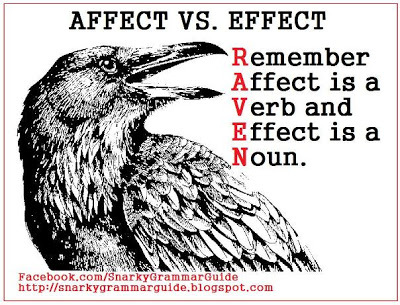 Affect is a verb: to produce a change. Effect is a noun: the consequence of a change. *TIP: If you get stuck, try substituting a verb form of “to influence” or the noun “consequence” to see which one fits best. If “influence” fits, then use affect. If “consequence” fits, then use effect. The lack of rain affected (influenced) the harvest. Creativity affects (influences) our daily lives when we actually take the time to have fun. I’m thankful that this new medicine doesn’t have any side effects (consequences). The effects (consequences) of the potion aren’t reversible. The Exception: Sometimes, ‘effect’ can be used as a verb if you are meaning “to produce an effect” or “to accomplish” (must be used with an object). – The principal effected (accomplished) a change to the school dress code. I don’t know about you, but with social media in full swing, I see these two words mixed up all the time. 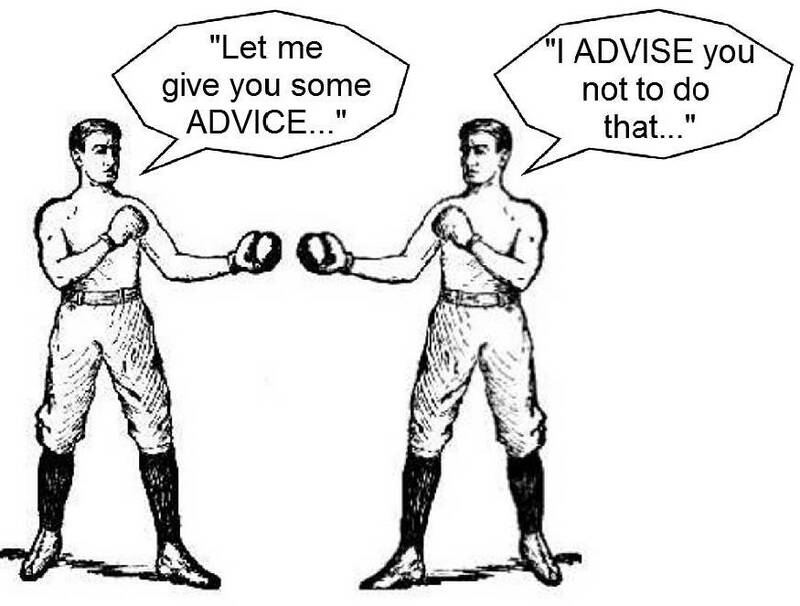 Advise is a verb: to give counsel or offer an opinion. Advice is a noun: an opinion or recommendation. *TIP: If you get stuck, try thinking of whether you’re performing a “service” for someone or whether you’re simply being a “consultation.” Service points you toward advise with an s, and Consultation points you toward advice with a c.
This one isn’t super common, but I do see it. Have you seen this one lately? Stationary is an adjective: standing still. Stationery is a noun: writing materials. *TIP: If you get stuck, try thinking “anchored” or “envelope.” If you’re talking about someone being “anchored” to the location, then Stationary with an a fits. If you’re talking about the materials that could be used to send a letter in an “envelope,” then Stationery with an e fits. Versus is a preposition: against or in contrast to. 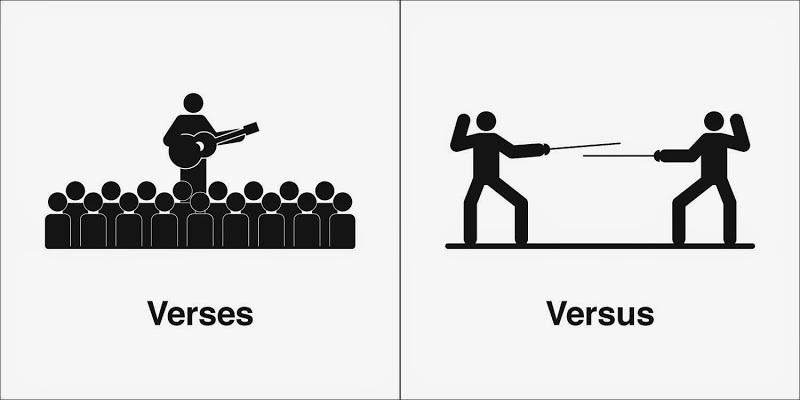 Verses is a noun: (plural of verse) lines of a poem, song, or Bible verse. *TIP: If you get stuck, try asking if it’s “us against them” or simply a “extra” part of a piece of writing. “Us against them” leads to Versus with a u. An “Extra” part leads to Verses with an e.
I could go on and on with this topic, but I’ll stop there. Here’s a visual of several more, and I’ll provide some links in the resources section for others. Take out your trusty Writer’s Notebook, and open to the next blank page. Try out a few sentences using different homophones! You don’t have to use the ones I’ve listed, so feel free to try any of the ones that give you trouble. Let me know how it goes in the comments below! I’d also love to hear your tricks for the ones that I do give you the most trouble. Share your secrets in the comments below. I hope you’re ready for our next Red Pen Tidbit (August 16) about verb tenses (by request from Erika Beebe)! It will be out a few days early, too.